Blue Cross and Blue Shield of Kansas City (Blue KC) and the “C” You in the Major Leagues Foundation (CYITML) have announced longtime high school baseball coach Bill McDonald as the April Blue KC Coaches with Character honoree. For 42 years, McDonald served as a head baseball coach at high schools in Johnson County, leading the charge at Shawnee Mission South from 1974-2001 and at Blue Valley West from 2001-2015. Now a P.E. 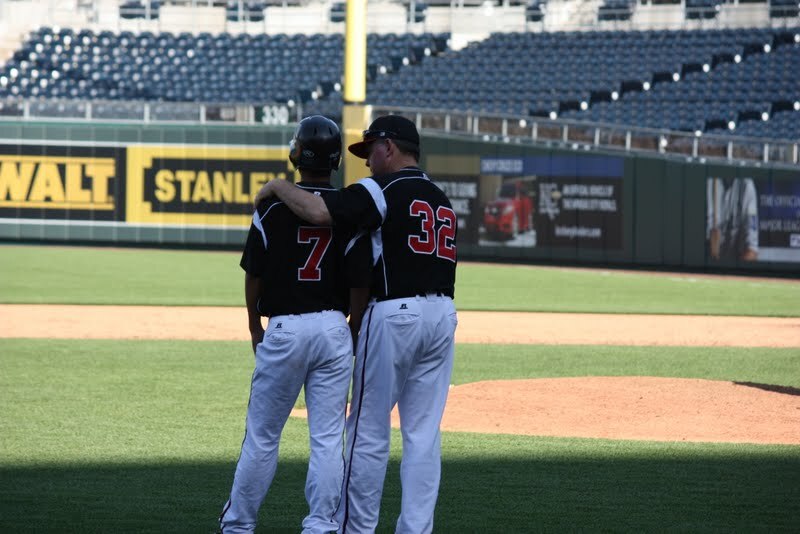 teacher at Blue Valley West, McDonald serves as a volunteer assistant for his son John, the head baseball coach at Olathe East High School. Selected from nominations submitted by fans, with one honoree announced each month throughout the 2018 MLB season, each Blue KC Coaches with Character honoree will be interviewed on 810 WHB, receive a VIP gift package from Blue KC and CYITML and will be invited to meet Royals General Manager and CYITML Founder Dayton Moore at an event in September at Kauffman Stadium. Additionally, Blue KC will make a $2,000 donation to CYITML in honor of each selected coach. Known for his positive influence on student-athletes throughout his career, McDonald was nominated by Kansas City sports media personality Dave Stewart, who played for McDonald at Shawnee Mission South. When it comes to the lessons he works to instill in his players, McDonald includes overcoming adversity at the top of his list, while also citing responsibility, respect, servant leadership, integrity, sportsmanship and the ability to be a responsible teammate. His goal is that each of them would develop the kind of character that would enable them eventually to be great husbands and fathers. A joint venture for Blue KC and CYITML, the Blue KC Coaches with Character program spotlights amateur coaches who, through their leadership on and off the field, are helping to grow youth sports in the Kansas City area, and making the community a better place to live, work and play.